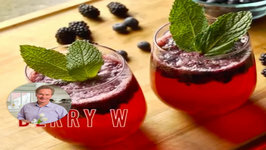 Cool off this summer with a fresh berry spritzer! Tasty! 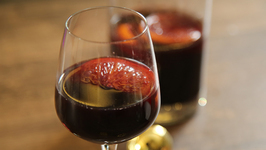 Its Christmas Mulled Wine is perfect Chritsmas drink so with our Chef Nick Saraf learn how to make Mulled Wine only on Get Curried! 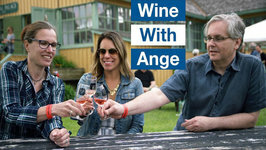 Mulled wine is a great way to get ..
Jules and I took a drive about 2 hours East of where we live in Toronto to visit Terroir 2018 in Picturesque Picton, Prince Edward County. Hosting a party? Try these! Is it Summer yet??? Man it's freakin HOT today!! 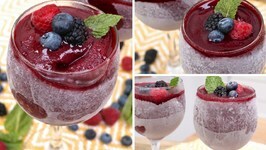 Now is the time to stock your freezer with these Berry Wine Slushie Cubes! 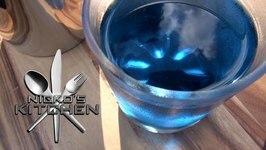 Make a single serving or a full pitcher to .. 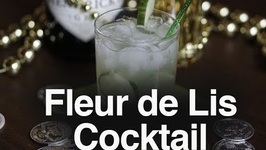 This easy to make cocktail is delicious and fancy! 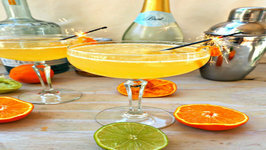 It's the perfect way to cheers your beautiful Mom this weekend! 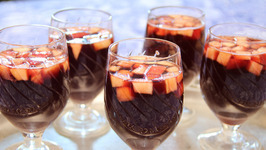 Learn how to make Sangria at home and add that spark to your party with this homemade cocktail. Looking for the perfect New Years Eve cocktail to toast 2017 with? Well, here you go! Cheers to the New Year and I hope everyone has a wonderful night. 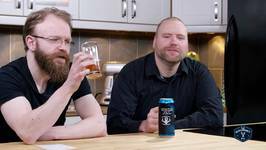 Now for something completely different 'The 24 Beers Project" We took one on camera host, a few of our friends, 24 Ontario craft beers, and stuck them in the studio on ..
Ive been perfecting this recipe for years and its just hands down delicious. Over time Ive tried to omit the sugar syrup to make this lower in calories(so I can drink more LOL). Mojitos are ALWAYS delicious... even if they're just the classic recipe. 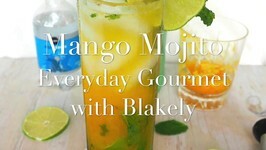 Take advantage of the delicious ripe Summer mangoes by making this cocktail! Trust me... you've love it. 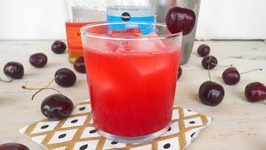 Cherries are in peak season right now and this delicious cocktail takes full advantage of them! Cheers! 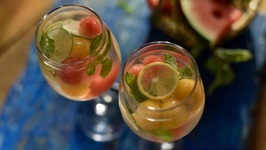 Get a kick with the freshness of the melons and the fizz of sparkling white wine in this awesome combination of Melon Sangria. This delicious cocktail combines three of my favorite things: Gin, blackberries, and lemon. It's easy to make and the perfect drink to cool you down on a hot day. Cheers! 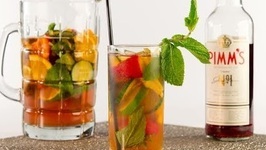 If youre lucky enough to attend Wimbledon in July, youll undoubtedly find yourself sipping a few glasses of the British drink known as a Pimms Cup. The signature cocktail of the U.S. Open, the Honey Deuce is the ultimate summer drink, made with raspberry liqueur, vodka, and tasty refreshing lemonade. 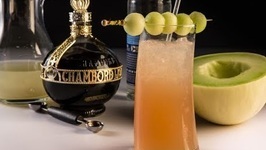 You can recreate this new classic cocktail from the Carousel bar from the Hotel Monteleone in New Orleans at home. 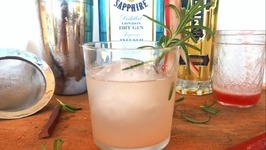 One of my favorite flavor combinations is grapefruit and rosemary. They blend together beautifully and this cocktail is the perfect example of it. 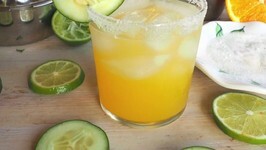 This fresh cocktail is the perfect Summer drink! 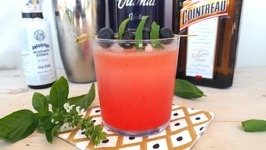 Blueberries are in peak season and cocktail takes full advantage of them. Cheers! It's Spring time and that means fresh rhubarb is in peak season! 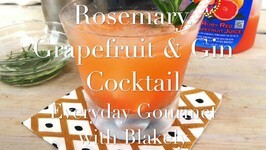 Take advantage of it while its around by making this delicious cocktail! Cheers! 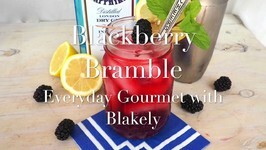 A delightful icy and refreshing drink that is a classic for the Kentucky Derby, or anytime! 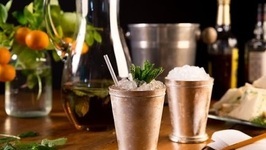 The mint infused simple syrup really kicks this recipe up a notch, giving it ..
A margarita to me is the ultimate cocktail. 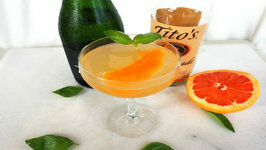 This refreshing twist on a classic will be your new favorite version. It's easy to make and the perfect way to cool down on a warm day. 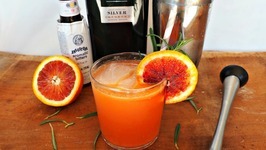 Take advantage of the delicious and very seasonal Blood Orange by making this easy and delicious cocktail! You WON'T be disappointed! 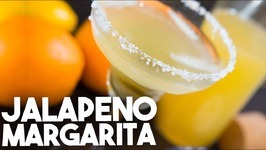 Looking for a frozen beverage for Super Bowl that's a little different? 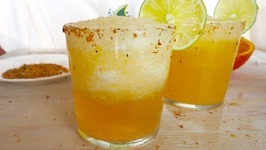 Try my frozen beer-rita! It's delicious and easy to make PLUS everyone will love it...men and women. Cheers!